This is a guest post by Brad Shorr. Check out his earlier posts on How to Hire Your Social Media Marketing Partner and How to Hire Your SEO Partner. It’s very difficult for small and mid-size firms to select the right interactive marketing agency — as evidenced by how often agencies get fired, and how frequently client-agency relationships subsist at a low level of productivity and mutual satisfaction. The best way to prevent agency angst is to select the right agency to begin with. Here are 25 selection criteria to help you do this. I’ve listed the most important ones first, followed by several others that are also important for agencies that get passing grades on the first set of criteria. First, a quick definition of terms: An interactive agency is one that provides a full suite of digital services that typically includes SEO, paid search advertising, email marketing, social media, mobile marketing, and branding support. Web development could be part of the mix, but not necessarily. Second, a bit of disclosure: I work for an interactive agency, one that works primarily with middle market B2B’s in industries like sustainable packaging and mobile credit card processing. This is good, because it gives me a great deal of insight on what works and doesn’t work in terms of client-agency dynamics. It’s bad because some readers might perceive this article as an infomercial. I’ll do my best to be objective; my guidelines should apply to just about every type of business. 1. Follows industry best practices. In my mind this is the number one selection factor. How does the agency decide what strategic and tactical activities to undertake? What industry sources inspire and inform those decisions? 2. Has a documented process. Marketers know how to talk the talk. But slick presentations don’t translate into effective execution; for that, the agency needs a systematic set of procedures for every one of its service offerings. Ask to see them. 3. Has a flexible process. Processes are vital, but inflexible processes are recipes for relationship disaster. Experience tells me that on one level, most businesses are the same in terms of marketing needs. But on another level, every business is unique. A good agency knows how to balance efficiency with flexibility. Ask the agency and referrals for examples of how that issue has played out. 4. Use of subcontractors. Does the agency do all the work in-house, or does it rely on subcontractors for key functions? The more of your work that gets farmed out, the less it is under the agency’s control – and your control. Subcontracting arrangements can lead to serious execution problems including miscommunication, missed deadlines, and cost overruns. 5. Establishes objectives and evaluation criteria. One of the biggest relationship killers is the situation when the client wonders, month after month, whether the agency is producing results. It’s crucial for the agency and client to define objectives and evaluation criteria before inking a deal. Can the agency lead that effort? Is this a priority for them? 6. Assigns a relationship manager. If 10 people from your firm are talking to 10 people from the agency, confusion reigns and it’s just a matter of time before the entire regime goes down. It works best when the agency has a relationship manager in place to serve as a conduit for communication. If the agency is vague about how communication will be handled, it’s a red flag. 7. Provides relevant case studies. Has the agency produced documented results for similar organizations? 8. Willing to start with a trial project. Rather than starting with an expansive and expensive contract, clients and agencies are better off testing the waters with a trial project. This approach narrows scope, reduces risk, and provides a safe way for both parties to get comfortable working together. Is the agency open to crawling before it walks? 9. Has strategic thinkers. Some agencies are pure technicians: all tactics and no strategy. Unless you have a total grasp of fundamental interactive marketing principles, a lack of strategic guidance from the agency will inevitably lead to a misapplication of effort and poor results. 10. Value to the agency. Cut through the sales pitch and find out: How important is my firm’s business to your agency? If you are a small fish in a big pond, you likely will pay maximum prices for minimum service. 11. Can they say no? Forgive me for saying this, but the client is not always right. It’s not in your interest to hire yes men. You want a partner bold enough to challenge your thinking and tell you when are heading down the wrong path. Ask for examples of when the agency has said no. Many client-agency relationships fall apart because the agency followed a client’s wishes against its better judgment. 12. Receptivity of your own staff. Just because your firm’s leadership is enthused about the new agency doesn’t mean your staff will welcome it with open arms. Many relationships disintegrate because of resistance at the all-important ground level. Is your staff on board and ready to embrace a new marketing approach? 13. Proximity. Long distance relationships that depend entirely on email and phone communication seldom hold up over time. If you have a narrow requirement, such as a PPC campaign manager, it could work, but for multifaceted engagements, there will be times when face-to-face meetings are necessary. How will a remote agency handle those situations? 14. Stability. “Here today, gone tomorrow” occurs all too often in the world of interactive marketing. How long has the agency has been in business? Is it profitable? Does it have a business plan? Funding? What kind of employee turnover does it have? Client turnover? These are questions you must ask. 15. Horizontal scalability. Suppose you start an engagement with SEO and email marketing, but down the line want to add social media or try PPC? If your agency can’t handle those services, you will be forced to hire multiple agencies or start all over again, neither of which is a great option. 16. Vertical scalability. As your business grows and marketing gathers steam, can the agency handle your more complex needs? Going back to #10, this is a danger of being the biggest fish: if you’re so big to the agency that you are all they can handle, you could outgrow them. This issue needs to be examined carefully. 17. Access to top management. As I said in #6, having a relationship manager is beneficial. However, if that person becomes a roadblock between you and the agency’s leadership, you will have a difficult time sustaining the relationship or salvaging it if serious problems arise. 18. Referrals. Agencies should be able to provide referrals. If they can’t or won’t, it’s a red flag. 19. Credentials. Does the agency have any industry-accepted certifications, such as being an AdWords Partner? What formal training has agency personnel received? Who specifically has been credentialed and trained? 20. Ongoing education. How does the agency keep current with the rapidly changing landscape of interactive marketing? Do they go to seminars and conventions? Do they hobnob with industry thought leaders? If your agency uses out of date techniques, its work will produce poor results or even backfire. 21. Know who is on your team. An agency with a staff of 100 sounds great – unless only two people are assigned to your account. You’ll want to understand who’s going to be on your team, what their roles are, and how much time they will devote to your account. 22. Office tour. Seeing is believing: a tour of the agency’s office will tell you a lot about its culture, efficiency, and stability. For large-scale engagements, this is a must-do activity. 23. How well do they market themselves? 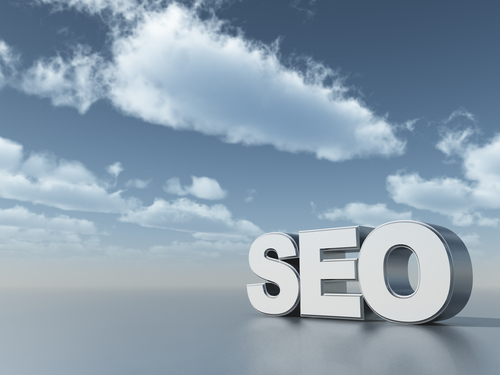 If the agency touts itself as an SEO dynamo, and their site ranks poorly – it’s a poor indicator. Similarly, if you’re looking for branding help and the agency’s website is incomprehensible – red flag. I do give this criterion a low priority, however, because for whatever reason, I know of many really good agencies that don’t do a great job of marketing themselves. 24. Attractiveness of fee structure. Without taking sides on the issue of hourly versus project fee structures, I think it’s important that you are comfortable with whatever system the agency uses. If not, you’re liable to have concerns in the back of your mind all the time about being overcharged or underserviced. Either way, you won’t be happy. 25. Web development capability. If the agency has can build and support websites, it’s a good tiebreaker. All other things being equal, the more work that can be pushed out to one agency, the better. What factors are most important to you in evaluating a marketing agency? What factors would you consider in addition or instead of these? Brad Shorr is Director of Content & Social Media at Straight North, a Chicago-based Internet marketing agency. Brad has also worked in-house for a large industrial firm and as a freelancer. Follow Brad on Twitter. Nice useful post. in recent times there is no need to hire any marketing company because by using social media and other tactics we can maket our products ourselves. your information will surely help those who are in search of marketing agency and i am sure after reading that post they will choose best from all. Marketing strategies provides different means of communication and multiple touch points for your clients. These advice is so useful and glad that in some years later this is still very relevant information strategically. Keep up the great work! I couldn’t agree more with 18 & 23. It’s amazing how much of an impact strong advocates & referrals can be. In addition, a crucial factor of social media becomes handing over the keys to the client. Nobody knows their industry, product, & customers better than your clients. Encourage them through your guidance & expertise to take ownership of their social media campaigns. WOZERS, THIS IS A GOOD READ!